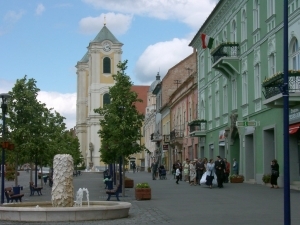 Gyöngyös, the town with a Hild Prize, the 'international town of grapes and wine' with its 34,000 inhabitants is a town of special atmosphere at the gateway to the Mátra Mountains and the centre of the historic wine-district of Mátraalja. 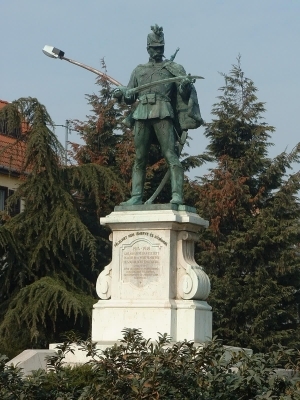 Charles Robert gave the privilege of town to the settlement in 1334. Today Gyöngyös is a town preserving - in spite of the past fires - the medieval traditions of settlements with important Gothic and Baroque monuments. Its architecture is a special mixture of upper class, religious and folk architecture. The Franciscan church and the monastery were built by the Báthory family around 1400 and they were rebuilt in Baroque style in the 18th century. The valuable library of the monastery is open to the public. The Roman Catholic St. Bartolomew church, built in the 14th century, was reconstructed in Baroque style. 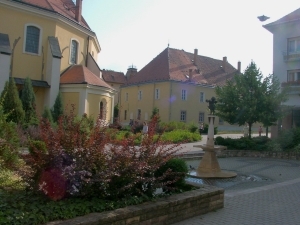 The treasury of the monastery is unique in Hungary. The St. Urban church, built before 1530 in Gothic style, was reconstructed in Baroque in 1762. The neo-Classical building of the former synagogue now houses the local television. 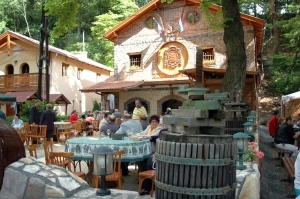 Outstanding events of the town: the Wine Days of Gyöngyös (18-20 May), which is opened with the Visiting cellars on the Drinking Day, continues with choosing the Wine of the Town in Farkasmály and ends with the traditional Wine feast in the Main square of the town on St. Urban's day; the Mátra Meeting of Old-timer Cars in the Main square (24th June - 1st July); the Vintage Days of Gyöngyös (14-16th September) and the 19th Meeting of Collectors of Minerals (3-4th November). Village with 949 inhabitants, administratively part of Gyöngyös. Mountain resort and centre for excursions. Visitors can see the Palóc ethnographical collection and enjoy the open-air bath and the sports facilities at lake Nagy-Sás. Mountain resort at an altitude of 700 m on the outskirts of Gyöngyös. A popular excursion place and skiing area. Administratively part of Gyöngyös. Mountain resort at the highest elevation in Hungary (1014 m), with marking stone at the peak and TV-tower.